You’ve heard the phrase – dress for success. It turns out this is trueeven in the domain of exercise and sport. 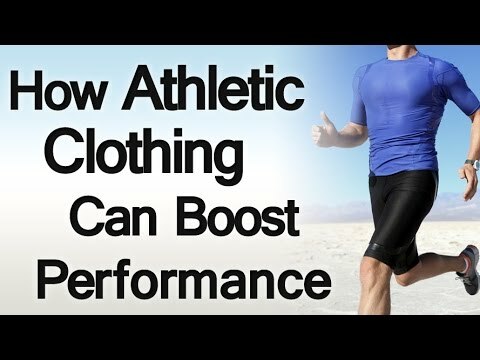 In other words – the clothing you choose influences your performance on the sports field and in the gym. You’re about to find out how choosing the right athletic apparel improves your performance at sport and exercise. Listed below are 5 reasons you should consider investing in good quality workout clothing. I’m also going to give you links to my favorite workout tops and shorts at the end of this article. The clothing you wear is going to make a difference if you believe it’s going to help you perfom better. It’s not advisable to test this theory when you’re trying to push your maximum at the bench press machine. However – there is a noticable difference in your confidence when you’re dressed in the right athletic gear than when you are not. I bought my son a new lightweight tennis racquet for his Saturday morning practice. The day he brought the racket on to court – the coach noticed a significant improvement in his game. His ground strokes were more accurate because he was playing with a racquet that was balanced correctly. When you have the right tools – well fitted workout clothes that offer support in the right areas – you’re going to feel more confident. The confidence translates into better performance. Full body swimsuits made out of polyurethane were banned in 2010 following complaints from top athletes about the unfair advantage they created for wearers. You may not swim competitively – but these outfits can boost your performance on your weekly swim practices. The default option for most men is a pair of basketball shorts that double up as swimming trunks. The drag created by the pockets will slow you down. A decent swimsuit will make a difference to your swimming form. 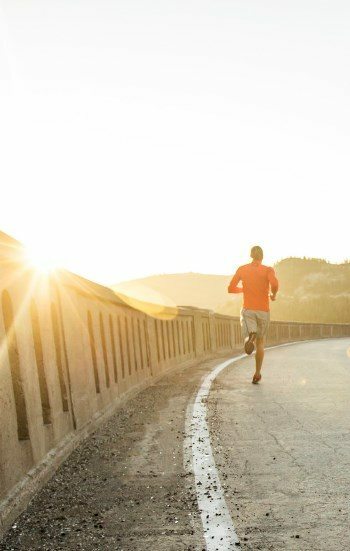 Not all of you swim – maybe you need something practical like a shirt that wicks away moisture from the body so your morning jogs are more comfortable and you can stay out longer. A top that is made of non-breathable material is going to stop the release of heat from your body. This results in excessive heating and discomfort that cuts short your exercise time. Workout shirts made of 100% cotton will absorb the sweat and hold it against your body. Choose workout clothing that wicks perspiration away from your body. A pair of running shoes would be inadvisable on the soccer field. Footwear made for running or aerobics lacks the flexibility, lateral stability and traction required for other sports. Any exercise that requires complex movements (that’s almost every sport) – requires the right gear to prevent injury. Using improperly fitted equipment is a major cause of sports-related injuries that can interfere with your workout routine. I wear long sleeved tops and pants on morning runs to cover my body because I live in Wisconsin. It gets really cold here. When the icy cold wind hits my legs and arms – I want to have clothing to protect my whole body. Being protected means I can go out running in 10 – 15 degree weather. For those of you guys down in South Texas, in the Middle East or over in South Africa or Australia – you have a different issue. It gets really hot and the sun is overbearing in the summer. You may want a cap to cover your head and protect your face. You need protection when you’re out running but also have something that’s long sleeved. That way you don’t have to apply sun screen that clogs up the pores on your skin. You might want to use gloves in the gym to protect your hands from developing calluses on the palms. Or if you’re out climbing rocks. Shoes that are not the right size cause blisters, cramps and slipping that slows you down. High-tops are required for protection of weak ankles. 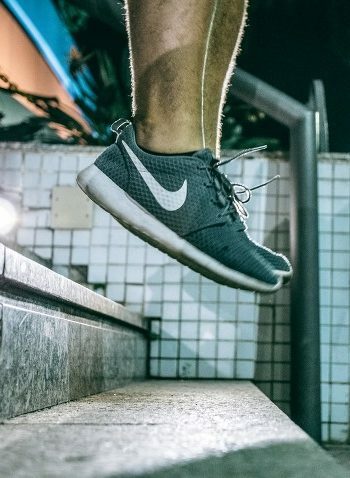 Good sports shoes cushion the foot from heavy landings when you jump and lessen the impact of your steps. Depending on the arches of your feet – you might require orthotic inserts to offer the right support during jumping and running movements. Improper shoes can cause a number of injuries. Even the right shoes fail to provide adequate protection during workouts if they are worn out. Change your running shoes after every 400 to 500 miles. Check the mid-sole for signs of damage. In an attempt to get the best deal – men often buy the wrong clothing just because it’s cheap. Those shorts you got for 70% off? They probably don’t fit well. They looked like a great deal at first but in retrospect – paying full price gets you better value over the long run. Freedom of movement is important in active wear. A tight shirt can restrict your movement. Even if you are able to dunk, spike, swing or make other movements – your shots will be affected if you are aware of the tightness around your body. Make sure your shorts don’t ride up or slip down when you jump. 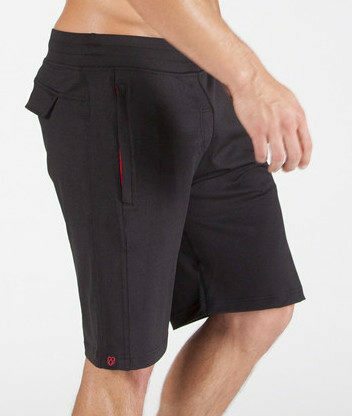 If you buy a pair that’s too big in the crotch – the shorts will come in the way of complex movements in the gym. If you are wearing a cap – make sure it’s not too tight around your head but also ensure it won’t fall off or slip. A 2015 study in the United States stated that there was no effect of compression clothing on sports performance. So there seems to be some conflicting evidence on whether compression clothing does help performance in sport. Compression clothing provides graduated compression to stimulate circulation. The result is a massaging effect which stimulates blood flow. The increased blood flowing through muscles removes the lactic acid produced during exercise. Recovery is boosted as a consequence and muscles are less sore and stiff. Direct pressure applied to muscles can reduce soreness and inflammation – especially after a game. Compression in athletic clothing has not been shown to have any negative effects so if you haven’t tested them yet – give compression clothing a shot. The German study gave compression clothing the thumbs up while the American study didn’t produce conclusive benefits. However, neither studies show any negative effects from wearing compression clothing. The athletic clothing industry is a huge market and it is growing at a rapid pace. Companies like Under Armour have developed into billion-dollar businesses by catering to a specific need. 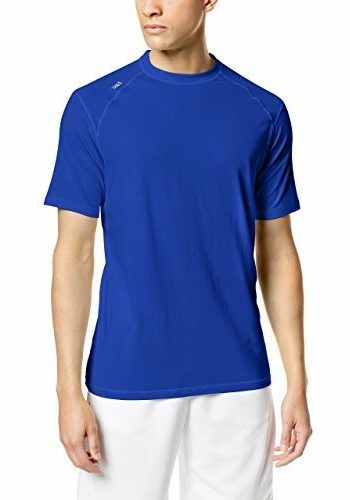 The running shirt by TASC (Tactical All Season Comfort) is lightweight and the breathable fabric is made of 55% organic cotton, 40% bamboo and 5% lycra. It is incredibly soft and wicks away the moisture from my body. This is my favorite workout top. It fits well and has a UPF 50+ coating which makes it perfect for outdoor runs on sunny days. At around $30, it is slightly more expensive than the other ones I tried. What I like about these Strongbody Apparel workout shorts is the fit and the fabric – made of 92% percent polyester and 8% spandex. The fabric is covered with a coating that makes it odor resistant. 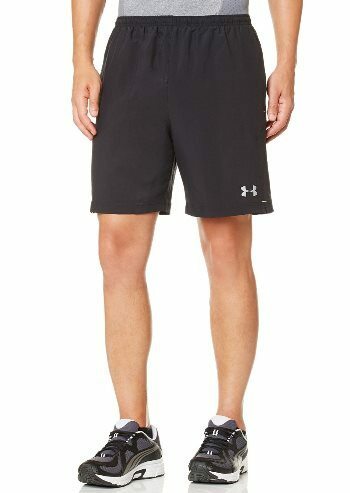 The shorts have a trim and tailored fit and they go right above the knee when lifting weights. Strong body has the best pair of shorts I’ve worn.